Last Wednesday we were very lucky to have the microscopes in nursery all day. 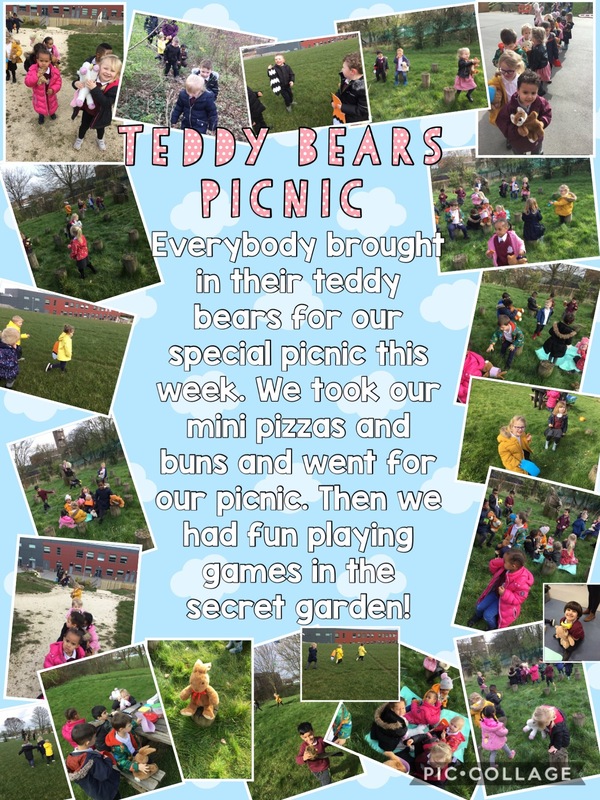 We had lots of fun looking at what we could see. At first we thought it was a bit tricky to see things under the microscope but the boys had some good advice. They said to shut one eye like a pirate and then they could see! We had lots of fun looking at things under the microscope. We were surprised how different things looked up close especially when we put our hands underneath! 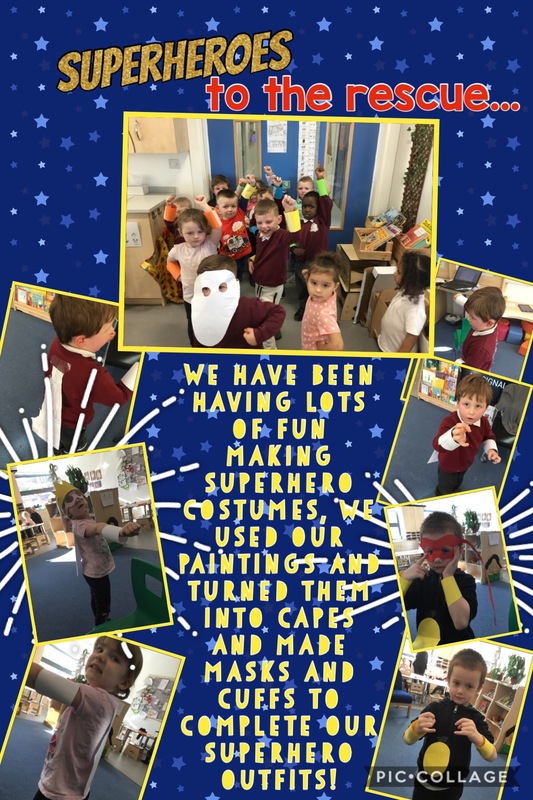 To find out more click here to look at what Pearl Class got up to! Then we explored real eggs. At first we were very gentle and tried not to crack them but then we decided it was much more fun to see what was inside! 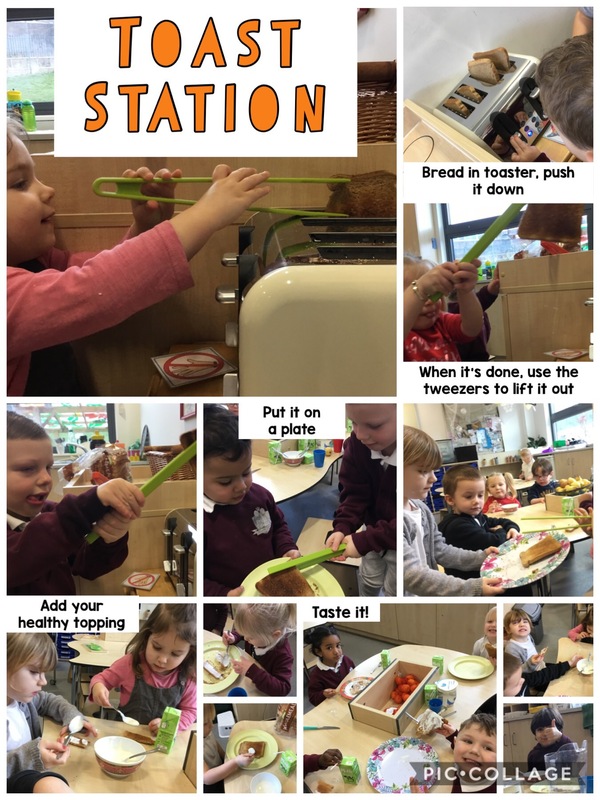 Making bubbles with washing up liquid, shower gel, bubble bath or shampoo, add whisks to help build muscles and mix up the bubbles. 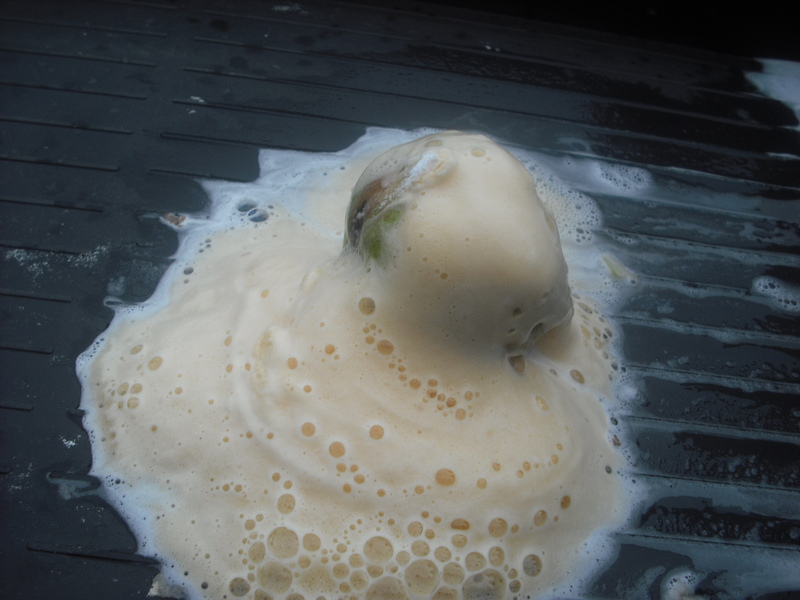 Cornflour or custard powder and water makes ‘gloop’. It is a solid when you touch it quickly but if you move slowly turns to liquid. 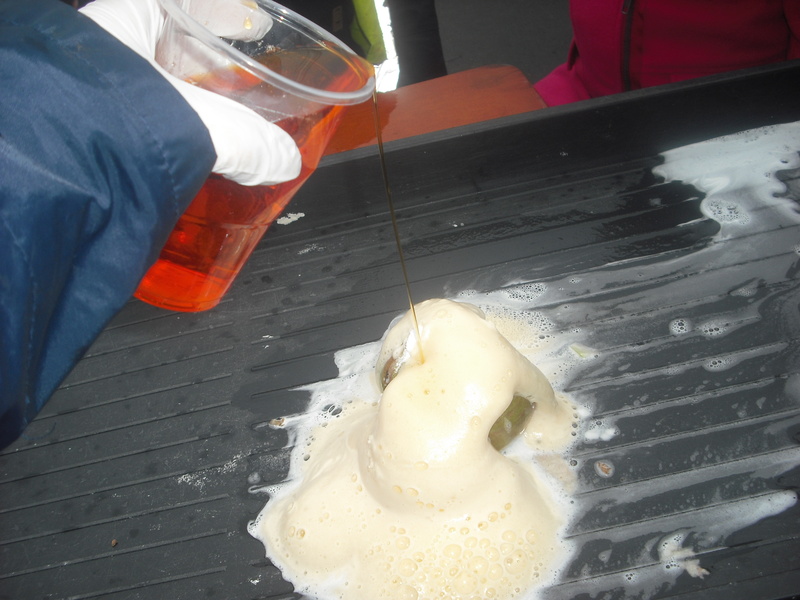 Jelly is lots of fun to explore and a great sensory experience! 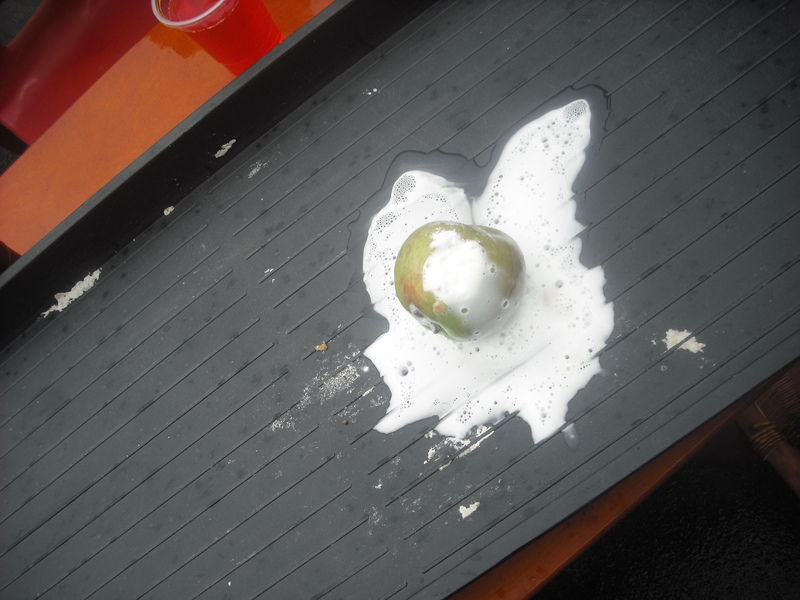 Shaving foam feels great when spread on a tray, use fingers to practice drawing and writing. 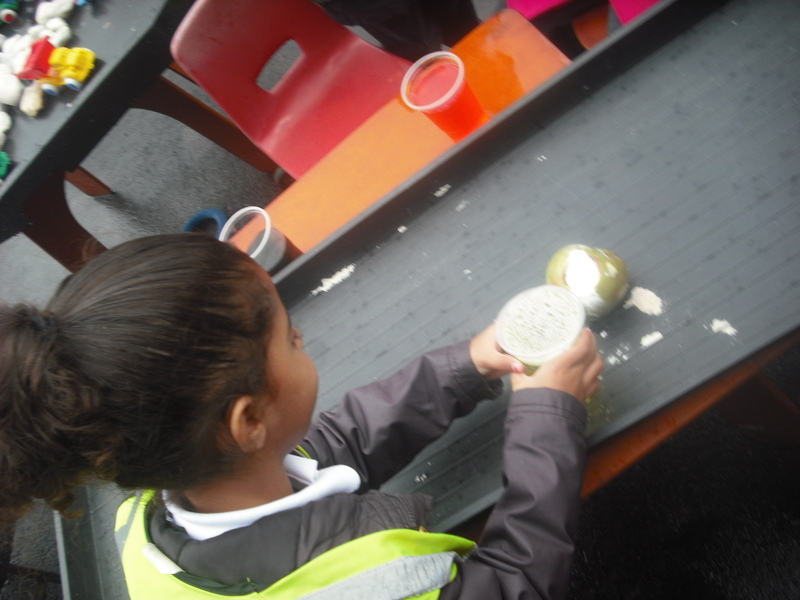 Add sand to create fun sand foam and add bricks and diggers. Before you throw away old cereals they are fun to explore in a tray with diggers and trucks or animals. Try cornflakes, oatmeal or cheerios. Rice, dry pasta, popping corn, dried beans, lentils, salt and sand are great for filling trays. Pretty much any small items are great for filling trays and containers for lots of fun sensory play! 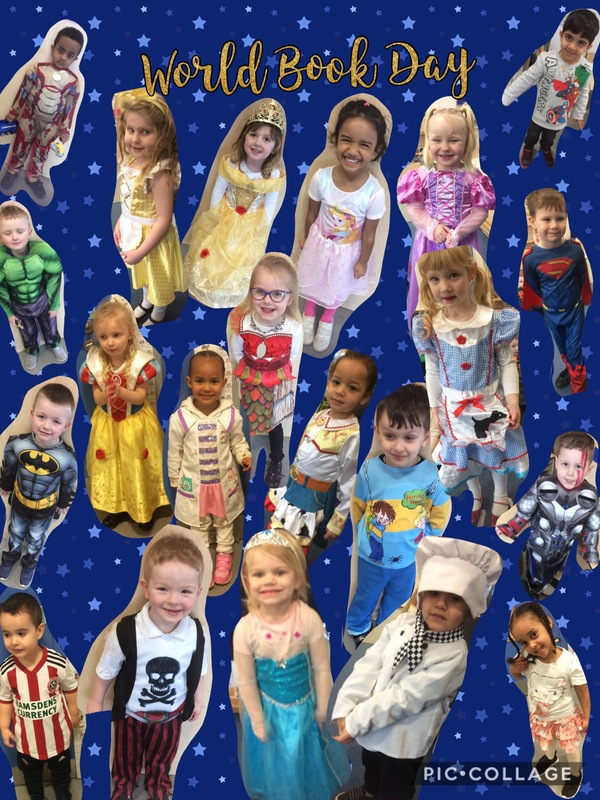 This week in nursery we have had so much firework fun! We made our own lava lamps. 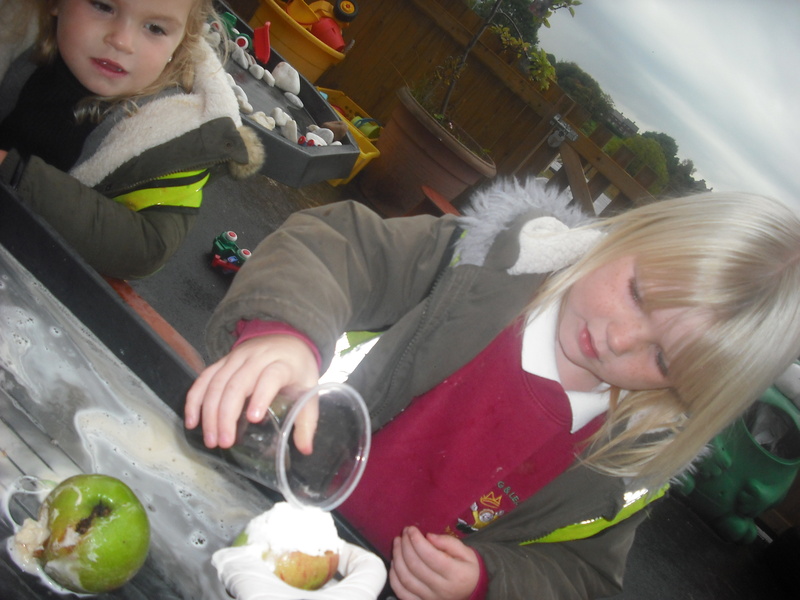 First we followed instructions and filled the bottle with 2/3 oil, 1/3 water and a few drops of food colouring. We watched the water sink to the bottom and separate from the oil, the colouring changed the colour of the water but not the oil. 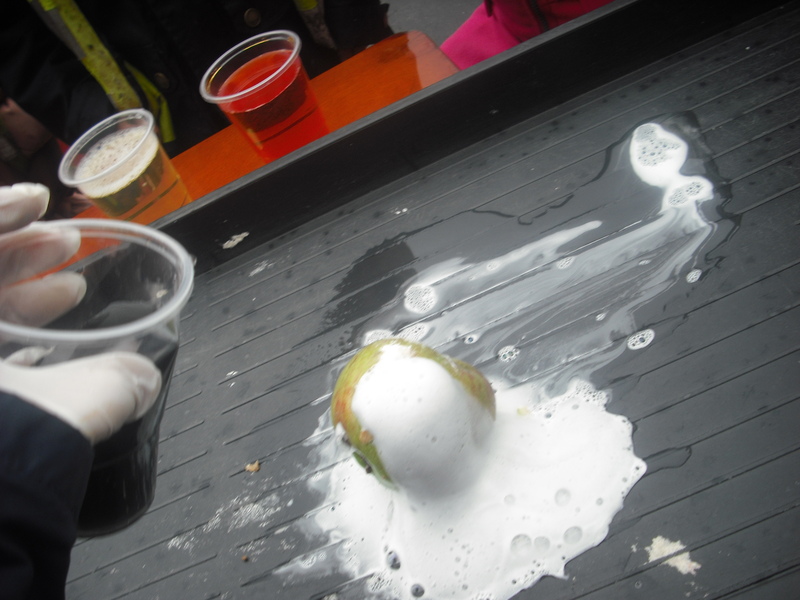 Then we dropped in an Alka Seltzer and watched the colourful bubbles. We changed the experiment by adding more water and food colouring or more tablets then talked about what we could see happening. 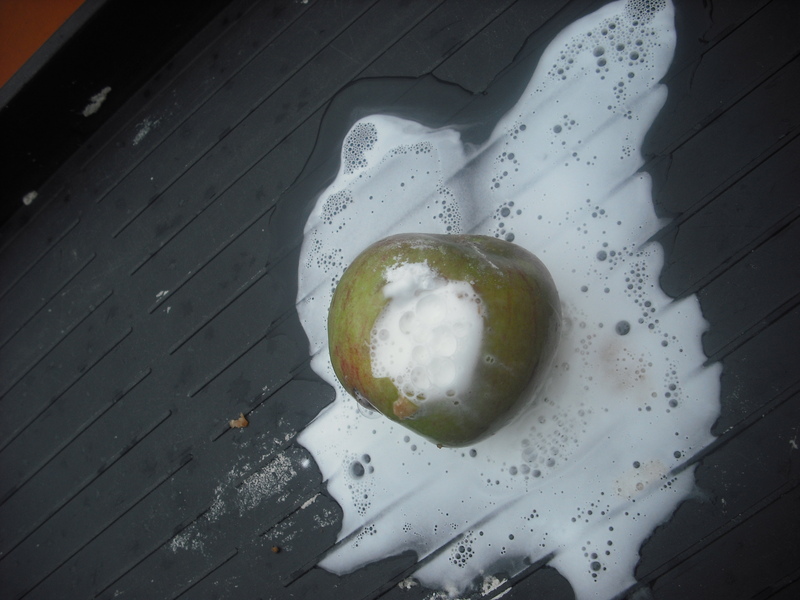 This is a great experiment for you to try at home and no mess! As it was Bonfire Night last weekend we celebrated with Sparklers and Hot Chocolate. 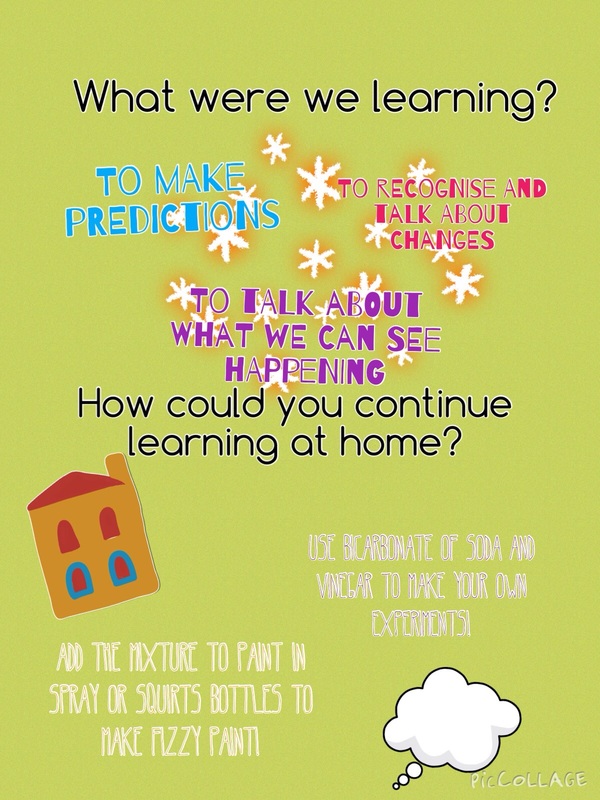 We thought about how to keep ourselves safe and what we could see happening. 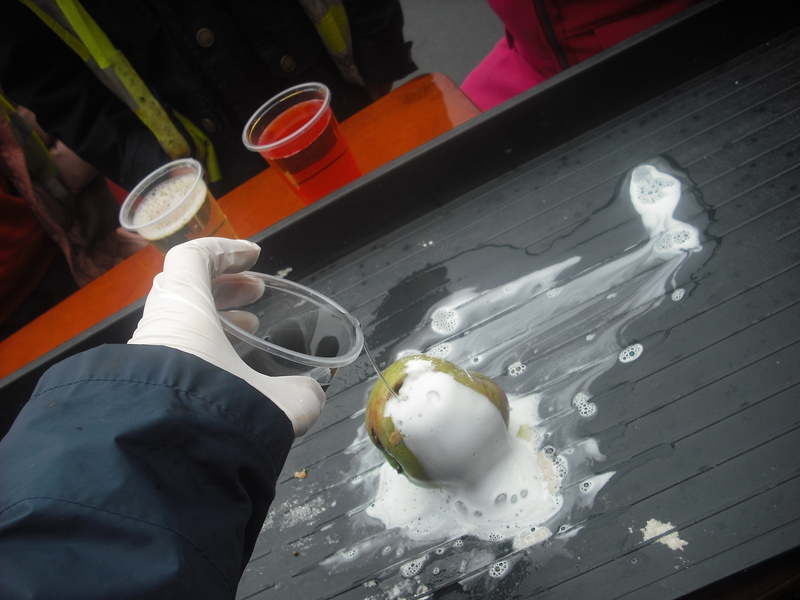 Everybody loved this activity. We blew up balloons and dipped them in paint. Then we dropped them and rolled them onto black paper to create firework pictures. A sprinkle of glitter and they were done! 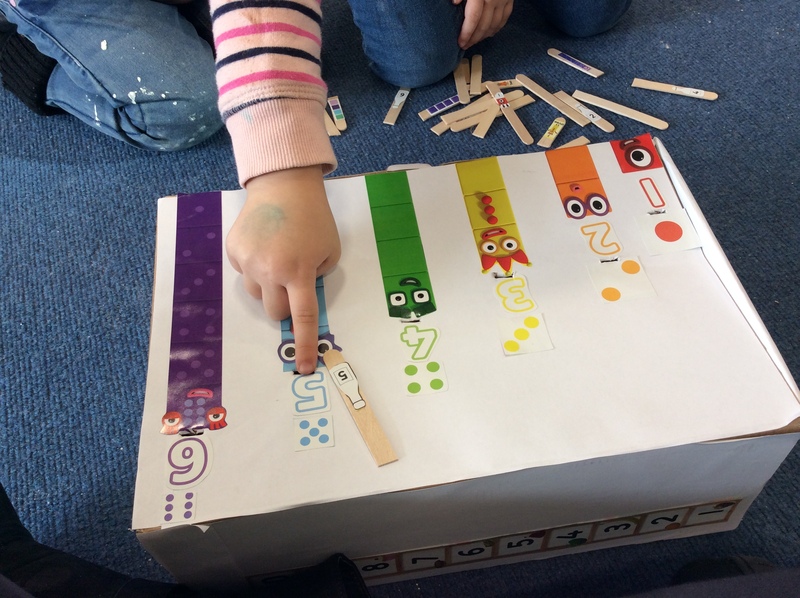 We had lots of fun and learnt our colours, we also thought about what would happen when we dropped them from different heights or if we rolled them instead. You could try this activity at home with leftover birthday balloons, just be prepared for a little mess! We have had lots of fun making fireworks this week. We used loose parts to make our own fireworks and we made fireworks in the workshop our of tubes and paper. We made gloop out of cornflour and water then added lolly pop sticks, food colouring and glitter to make our firework pictures. 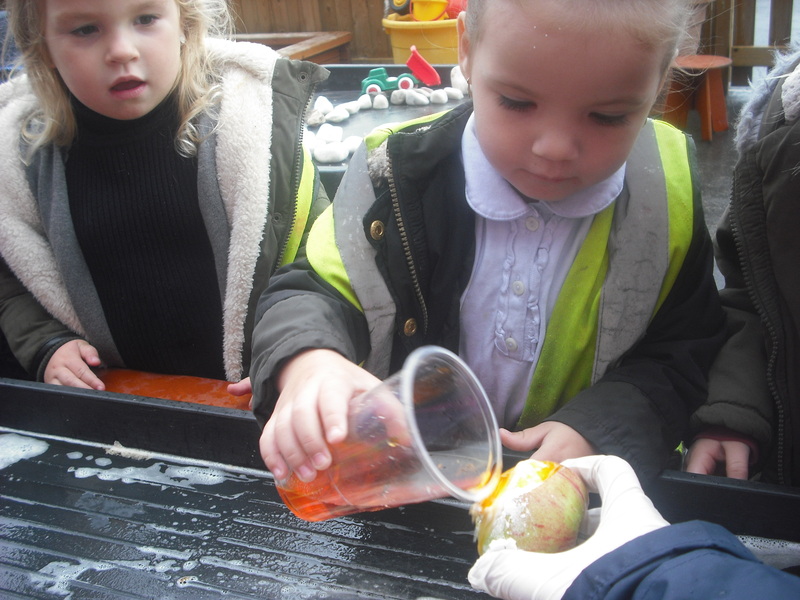 In the water tray we added gliitter, tubes and empty baubles and swirled the water to look like fireworks. While we were learning about magic some of the children said they would like to do REAL magic! 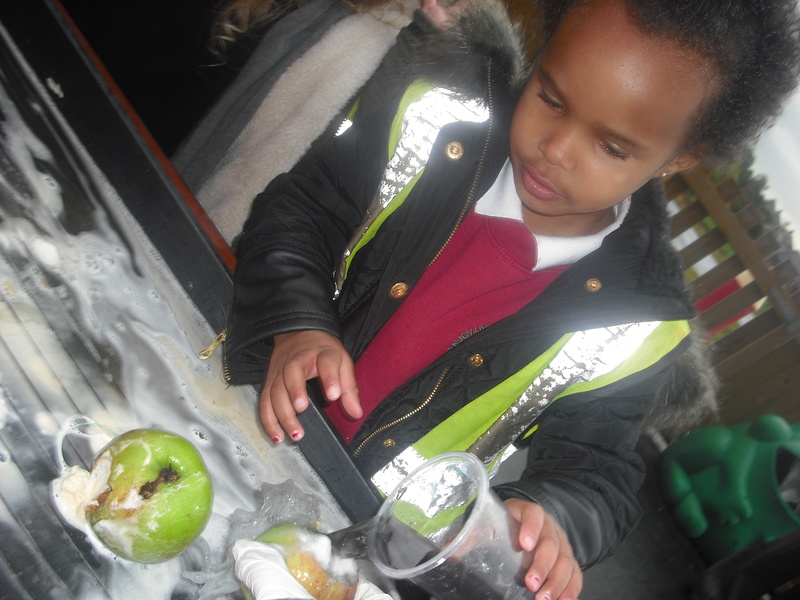 Mrs Reed brought us lots of apples from her garden so we decided to do some fizzy apple experiments. 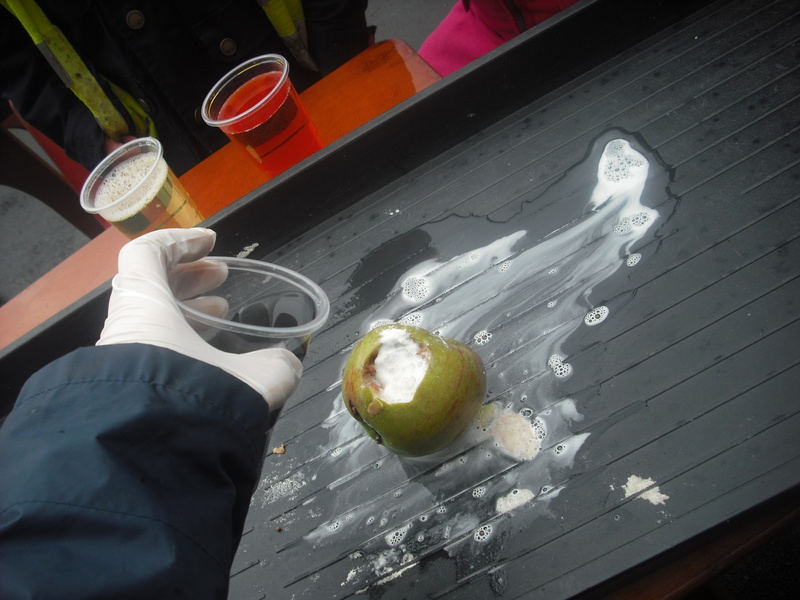 We cut out the middles of the apples and filled them with bicarbonate of soda. 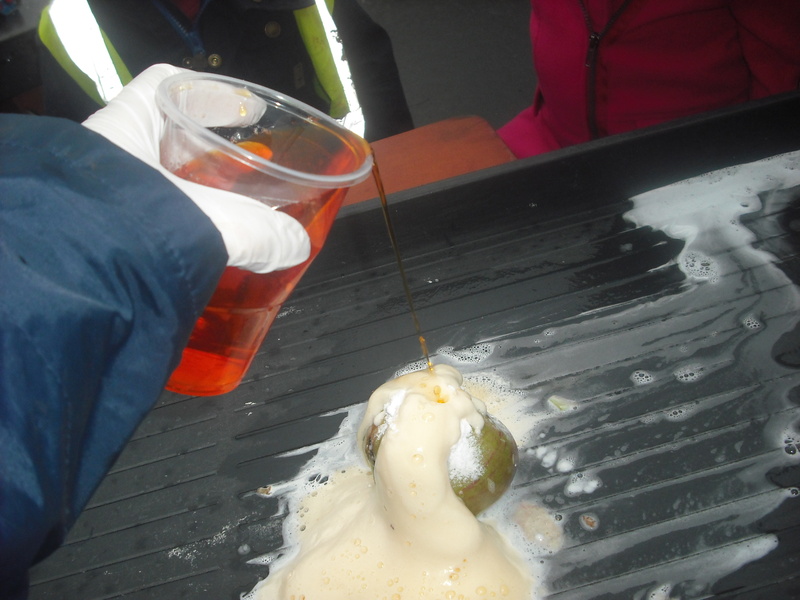 Then we poured in vinegar and watched what happened! 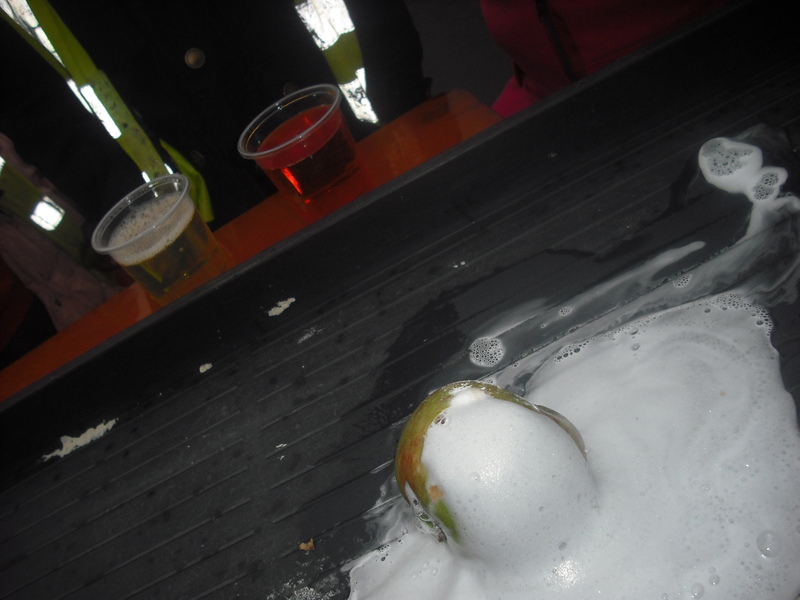 The apples erupted and fizzed, just like magic. We experimented by adding more bicarbonate of soda and more vinegar. 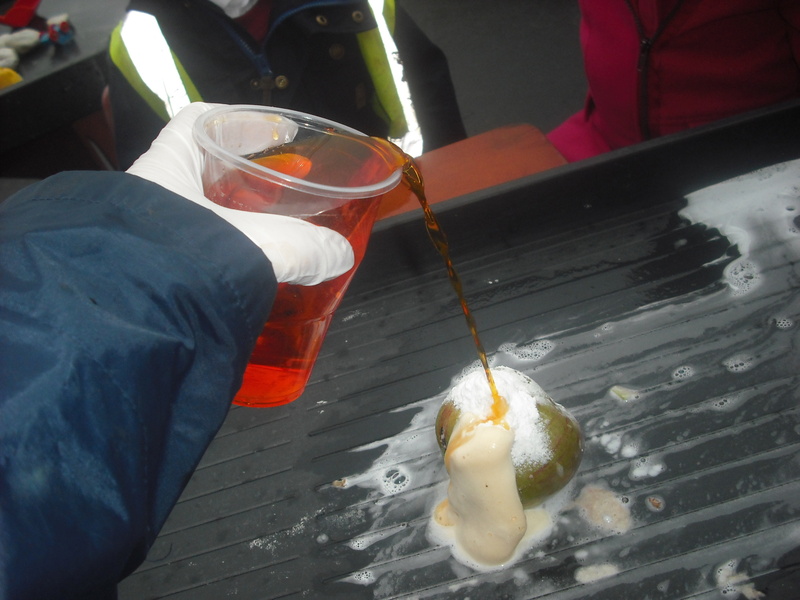 Then we experimented adding different colours to the vinegar and watched what happened.